It is with great sadness that the United Nations University announces the death of Professor Alexander Adum Kwapong, former UNU Vice-Rector from 1976 to 1988. Dr. Kwapong died in Accra, Ghana on 9 August 2014, aged 87. Dr. Kwapong had an extraordinary career. 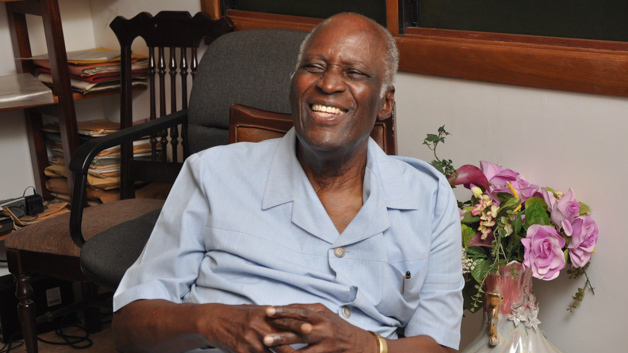 After studying at Achimota College in Ghana, he was awarded a scholarship to continue his studies in Classics at Cambridge University, graduating with first class honours in 1951. He went on to become a lecturer and then full professor at the University of Ghana where he taught Greek, Latin and ancient history. Over time he was appointed to a number of senior posts with the University of Ghana, before becoming that university’s first Ghanaian Vice-Chancellor in 1966. Ten years later, in 1976, he moved to the United Nations University in Tokyo and took up the post of Vice-Rector for Institutional Planning and Resource Development. 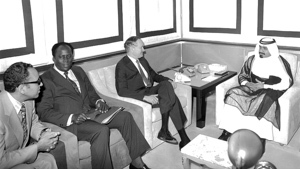 During his time with the United Nations University, Dr. Kwapong worked closely with the first rector, James H. Hester, to lay the foundations necessary for UNU as both a university and a part of the United Nations system, and to attract funding for the University. Working with UNU’s second rector, Dr. Soedjatmoko, he was instrumental in the establishment of the first UNU institute — the UNU World Institute for Development Economics Research (UNU-WIDER) — and the first institute established in Africa — the UNU Institute for Natural Resources in Africa (UNU-INRA), based in Accra, Ghana. After leaving UNU, he was a Professor of International Development at Dalhousie University in Canada and the Director of Africa Programmes for the Commonwealth of Learning. Throughout his career, Dr. Kwapong served on numerous boards and councils, and upon retirement he was appointed Chair of the Council of State of Ghana, an advisory body for the president and government of Ghana.